Holistic dentistry–also known as biologic or natural dentistry–is dentistry that attempts to foster the health of your entire body as well as your mouth. Using biocompatible materials and techniques, we try to make sure that first, we don’t disrupt your body’s natural balances. Whenever possible, we encourage your body’s natural mechanisms to heal rather than intervening. And we utilize our understanding of the body as a whole integrated system to encourage harmony between oral and overall health. Holistic dentistry is an important part of what makes Firouzian Dentistry different from most dental offices in Columbus, OH. 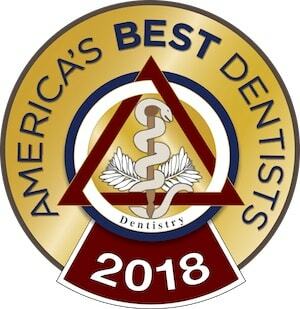 If you’re looking for a holistic dentist who is dedicated to improving your wellness, please call today for an appointment with Dr. Mike Firouzian. Applying these principles helps us to perform dentistry that always promotes wellness. Our treatments first do no harm and second put you on a path to long-term wellness with minimal interventions. In the past, dental materials have not always been good for the body. This may have seemed more acceptable when lead and arsenic were considered medicine, but now we understand how damaging these substances can be. We don’t place metal amalgam fillings. These fillings are about 50% mercury by weight. Mercury is a highly toxic metal, and it doesn’t stay in the fillings. It migrates through the body and concentrates, leading to serious health impacts. Dr. Firouzian is a member of IAOMT (International Academy of Oral Medicine & Toxicology), and follows their best practices to safely remove toxic mercury fillings to avoid contamination. These safe practices ensure that you don’t get additional exposure while your fillings are removed. Never allow a dentist to remove your metal amalgam fillings unless they follow proper safe practices. The body is designed to heal itself from damage. Even teeth have limited capacity for healing, if we allow it. It’s important to understand how these mechanisms work so that we can encourage them. Saliva is the body’s main tool for healing the mouth. Saliva contains minerals that can slowly repair tooth enamel that’s been eroded, worn, or decayed. It also contains antibiotics that can kill off dangerous bacteria in the mouth, which means it also protects against gum disease. An important step in ensuring your saliva can function is making sure you get proper nutrition so your body has the minerals it needs. You also have to make sure you stay properly hydrated, since water is the main ingredient in saliva. You should also take steps to promote a healthy oral microbiome. The microorganisms that live in your mouth depend partly on your diet. When you eat sugary foods that feed harmful bacteria, they can take over. Eating a healthy, balanced diet encourages helpful microorganisms. Sometimes, probiotics are also recommended. In the early stages of dental disease, just changing your diet and performing good hygiene may be enough to reverse damage. However, it’s important to understand that the rate of dental damage accelerates as disease progresses, so if disease isn’t detected soon enough, we will have to intervene. Ozone therapy is a technique we can use to promote your body’s natural healing mechanisms. It’s a minimalistic intervention that helps stop the progress of disease and allows your body to heal. Ozone kills oral bacteria, which means that it can kill bacteria that are causing cavities or infecting your gums. It also neutralizes acid, creating an alkaline environment that fosters the repair of tooth enamel. Ozone therapy can be applied directly as a gas, or ozone can be infused into oils that you can apply yourself. The mouth is intimately connected to the rest of the body. Almost everything that enters the body passes through the mouth. Proper health and function of the mouth contributes to overall health, but when the mouth is diseased or dysfunctional, that can spread through the body. One of the mouth’s essential functions is for breathing. Even air inhaled through the nose passes through the mouth. If the mouth is not properly developed, it can contribute to sleep apnea, where you stop breathing at night. This, in turn, can lead to high blood pressure, heart disease, stroke, and many more serious health risks. We can treat sleep apnea with an oral appliance, but we can potentially cure it with the DNA appliance, which uses your body’s natural development mechanisms to encourage the growth of your airway so you breathe easier during the day and at night. Another crucial interconnection is the way your jaw works together with muscles in the head and neck. When the jaw is dysfunctional, often described as temporomandibular joint disorder (TMJ), it can cause imbalances that lead to facial pain, headaches, neck pain, back pain, and other symptoms. Oral disease can spread through the body. It can enter your lungs, your blood, and your digestive tract. Gum disease has been linked to heart disease, stroke, dementia, and cancer as well as other serious health conditions. Preventing and treating oral disease helps you maintain your best overall health. Many people become frustrated when their doctor can’t help them find the true cause of their symptoms. If you have symptoms that your doctor’s treatments aren’t improving, we may be able to track down the true cause. TMJ is a common source of these hard-to-treat symptoms. You might be experiencing headaches, back aches, neck pain, tinnitus, or vertigo, but the true cause is your jaw. TMJ has also been linked to migraine, fibromyalgia, and IBS (irritable bowel syndrome). TMJ treatment may help you manage these other conditions. Oral infections can stress your body. They can contribute to feelings of fatigue or can make you more likely to catch colds or other illnesses. Chronic gum disease can also impact your immune system, making you more likely to develop autoimmune disorders like rheumatoid arthritis. Other times, people may find that their symptoms are related to dental materials that are triggering illness or allergy-like symptoms. Are you looking for a dentist who is focused on your overall health and wellness? Please call today for an appointment with Dr. Mike Firouzian at Firouzian Dental.